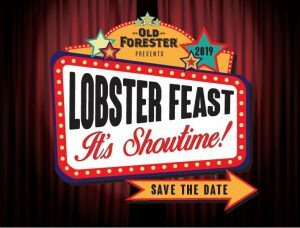 Actors Theatre’s Board of Directors and committee co-chairs Wendy Sirchio and Stewart Lussky announce the annual fundraiser Lobster Feast 2019: It’s Showtime! at the Louisville Marriott Downtown (280 West Jefferson Street, Louisville, KY 40202) on Saturday, January 26, 2019 beginning at 6 p.m. For the third consecutive year, Old Forester is the presenting sponsor. Supporting sponsorship is provided by White Clay, Republic National Distributing Company, Brown-Forman, Fifth Third Bank, The Voice-Tribune and The Glenview Trust Company. Valet sponsors will be Volvo of Louisville, BMW of Louisville and Courtesy Cadillac. This year’s event is themed It’s Showtime!, a night to celebrate why #LouisvilleLovesTheatre. The night will take patrons on a behind-the-scenes tour of the experience of bringing a show to life. Don’t miss your chance to be featured in the spotlight! Consistently rated as one of Louisville’s “best parties” (The Voice-Tribune), Lobster Feast features all-you-can-eat lobster and a locally-sourced dinner buffet, Old Forester cocktails and open bar, live and silent auctions, and a dance floor for celebrating all night. Lobster Feast is Actors Theatre’s largest annual fundraising event, generating significant support toward the theatre’s annual fundraising goal of more than $4 million. From a season of celebrated works and the internationally-acclaimed Humana Festival of New American Plays, to education workshops and residencies in our schools, the funds raised ensure that Actors Theatre continues to provide quality arts experiences for this community. Tickets are on sale now at $300 per person and $3,000 for a table of ten. $5,000 VIP tables in the Inner Circle and additional sponsorship opportunities are available. Order tickets at LobsterFeast.org or contact Matthew Brown, Development Coordinator, at mbrown@actorstheatre.org or 502.584.1265 x3085.